I do my best to run several days a week. I am not fast. My running is more of a tortoise style - slow and steady - but I love the physical and mental benefits of running. I love getting into "the zone" and letting my mind wander and think. I love getting lost in podcasts or audio books, the cadence of my steps and breathing in the background lulling me into another world. I love the portability of running - that I can do it anytime and anywhere. And, as a geeky member of the Quantified Self Club, I love tracking my running progress with the RunKeeper app. As a gadget guy and early adopter I've owned and used just about every fitness tracker, from the early, enormous, Garmin GPS Running watches, to FitBits, Fuel and UP bands, and multiple smartwatches. RunKeeper has been my Running App of choice for a number of years, and I love the way it seamlessly integrates with my Pebble and Android Wear watches. Today, RunKeeper changed the way I think about marketing too. 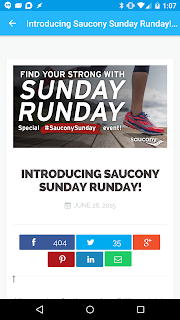 The other day an in-app alert let me know that today would be #SauconySunday: Anyone who records a 30 minute workout in RunKeeper would be entered in a drawing for one of 10 pairs of Saucony Running Shoes, and everyone who participates would get a coupon code for a 20% discount on Saucony shoes. I took mental note, and promptly forgot about it. Then this morning, when I set out on my typical Sunday run and launched RunKeeper a pop-up reminded me that it was #SauconySunday and asked if I wanted to participate. With one click I was in, and proceeded with my slow and steady 5k. At the 30 minute mark, a voice in my headphones acknowledged that I had completed the 30 minute challenge, and shortly after I ended my run, an email from RunKeeper confirmed I was eligible for tomorrow's drawing and gave me my 20% discount code. I loved this campaign and kudos to RunKeeper and Saucony for smartly leveraging smartphone technology to create an effective promotion. Many "in-app" ads are still very traditional. Click a banner and jump from the app to a mobile web page. Click a banner and download an add-on, etc. Instead, the Sunday Runday campaign is truly integrated into the function of the app, which I think is a positive sign of things to come. I didn't have to "enter" by sending a disingenuous tweet... I simply had to RUN. 1. It was relevant to ME. 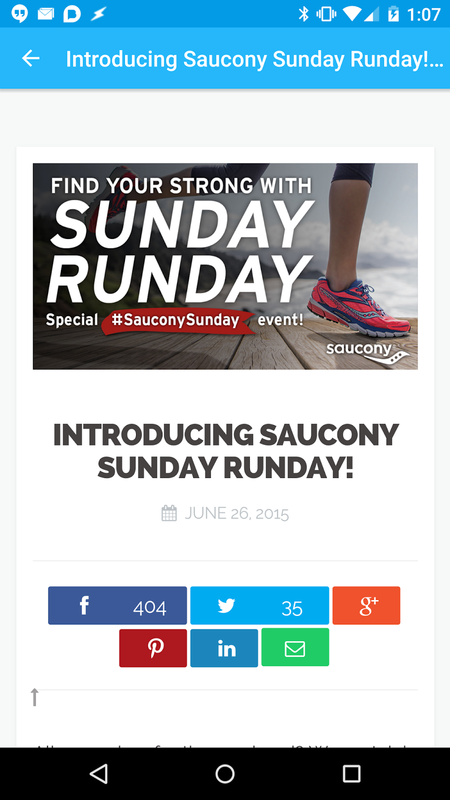 By linking the campaign to the RunKeeper app, Saucony reached runners. As a runner, I don't mind learning about running shoes. I use and need running shoes. Information about running shoes is content to me, not just advertising. I want to know. 2. It was integrated into MY LIFE. This is the one that gets me excited. As someone who is into wearable tech and tracking and measuring everything from steps to calories to sleep, this is an example of what I'd call Quantified Marketing (or Quantified Advertising) - marketing that leverages personal data and behavior in a relevant and meaningful way. 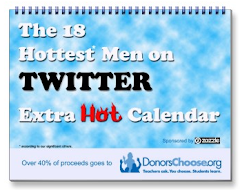 I didn't have to change my behavior to benefit from this campaign. I run. I use RunKeeper when I run. This promotion was built into RunKeeper on the product level - it tracked my run as always, and, with my opt-in, qualified me based on my running at least 30 minutes today. I didn't have to do anything differently or disrupt my routine or be disrupted for the campaign to impact me in a positive way. 3. It WORKED for the brand. I may or may not win a pair of Saucony's tomorrow, and I may or may not use my 20% discount code (but I will go to Saucony.com and take a look). Regardless, this campaign succeeded in bringing Saucony to the forefront of my thinking, and made me think more highly of the brand, both for their recognized quality and value in running shoes, and for delighting me with a cool promotion. While I was running today I was thinking about the brand. I remembered that my very first pair of running shoes, back in my college days, was a pair of Saucony's, and that I have owned and enjoyed several pairs over the years as I've bounced from brand to brand in search of the perfect running shoe for me. The chances of me trying Saucony again have dramatically increased, thanks to my regular Sunday run today. That's good for the brand. There's a lot of debate about the amount of data our mobile phones and wearable devices know about us and our behavior. Personally, as a consumer, and professionally, as a CMO, I am excited about the creative opportunities apps and wearable tech can present for brands and marketers who are willing to try new ways of bringing immediacy, relevance and a bit of fun into their campaigns. I look forward to seeing more. What do you think? Do you think this type of advertising is invasive or effective? Have you seen other examples of campaigns that leverage apps and user data in creative ways? Please share your thoughts in the comments.